Sprint has recently announced their All-In plan in attempts to combat complicated mobile plans. For $80 a year, Sprint claims that you get unlimited service and a mobile device! Too good to be true? Let’s go over the fine details! **Monthly lease portion of payments exclude taxes (varies by area). Monthly service portion of price plan excludes taxes & Sprint Surcharges [incl. USF charge of up to 17.10% (varies quarterly), up to $2.50 Admin. & 40¢ Reg. /line/mo. & fees by area (approx. 5-20%)]. Surcharges are not taxes. See sprint.com/taxesandfees. Activ. Fee: $36/line. Credit approval req. Plan: Offer ends 8/6/2015. Includes unlimited domestic Long Distance calling, texting and on-network data. Third-party content/downloads are add’l charge. Int’l svcs are not included. Req. leased device. Usage Limitations: To improve data experience for the majority of users, throughput may be limited, varied or reduced on the network. Sprint may terminate service if off-network roaming usage in a month exceeds: (1) 800 min. or a majority of min. or (2) 100MB or a majority of KB. Prohibited network use rules apply-see sprint.com/termsandconditions. Phone Lease: Terms for all other customers will vary including amount due at signing & taxes/fees. No security deposit required. Upon completion of 24 mo. term, customer can continue to pay monthly lease amount, purchase or return the device. Customer is responsible for insurance and repairs. Early termination of lease/service: Remaining lease payments will be due immediately, and requires device return or payment of purchase option device price. Other Terms: Offers and coverage not available everywhere or for all phones/ networks No add’l discounts apply. May not be combined with other offers. Restrictions apply. See store for details. © 2015 Sprint. All rights reserved. Instead of their previous rate of $60 (unlimited everything), Sprint has reworked the plan to add an extra $20 – $30 a month to include “everything”. But we can see that “everything is not included”. Basically you are paying $20-$30 towards your device every month, at the end of the 2 years, you’d have to return it, continue paying the monthly fee to pay your device off, or kindly return it to Sprint! The full retail price for the device is $864.00 and after 24 months of paying $30, you have paid off $720.00, leaving you with $144.00 that you have to pay to Sprint at the end of 2 years, or continue paying $30 for 5 more months. Depending on your phone choice, you’ll have to pay at the end of the term to keep your phone. Taxes is constant among the carriers and will not be used in calculating the total payments for this article. This is unavoidable. Even after $90 a month for 24 months, that isn’t enough for American carriers. There is a $36 one time activation fee, tacked on to your first bill (so on your first bill, you’ll actually be paying $90 + $36 + taxes). So much for $80 a month! Considering that you are leasing this device for 2 years, you’re more than likely to consider insurance, which tacks on $11 a month. If you add this service on that is an extra $11/month for 2 years, which is another $264 for 2 years! If you happen to damage your phone during this time, there is a deductible, which they FAIL to mention to you while you are signing up for your plan and insurance. For this specific device, it is an extra $200 to get your phone serviced. If you damage your phone once in the course of 2 years, that is $200 (deductible) + $264 (insurance payments) = $464. 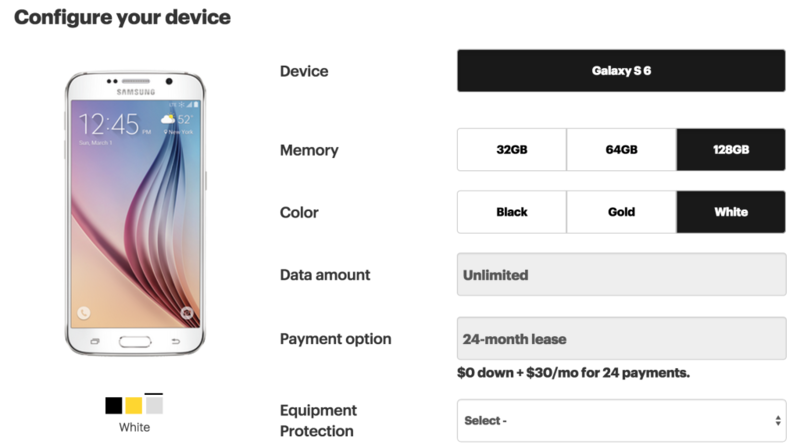 If you do require service within the 2 years of owning your phone, this is a deal, compared to the full price of the phone, but that is another $464 of services, in addition to the $2160 + $36 + $144. During the course of the 2 years with a Samsung Galaxy S6 128GB or Apple iPhone 6 128GB phone, you will be paying: $2804 (not counting taxes). 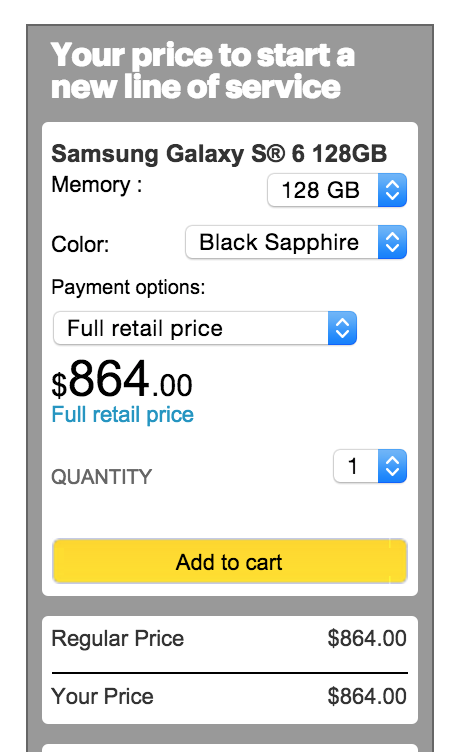 Do you still think that $80 Sprint #ALLIN plan is worth it?